The Heavenly Greens synthetic turf surface is smooth so croquet balls can roll smoothly without bumping and bouncing over uneven lawn or the frustrating muddy spots and divots that occur in other types of ball courts. 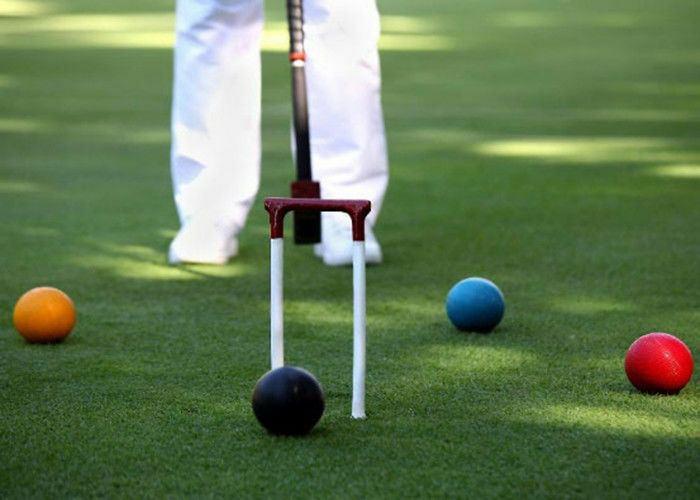 We can install artificial turf for croquet on most surfaces, including asphalt and concrete, with specialized padding that provides a natural, life-like surface for play. Artificial grass for croquet holds up to wear and tear far better than natural grass. Artificial grass is easy to clean with a hose and doesn't attract bugs and pests. You can't get grass stains and it won't have bare or brown spot. Artificial grass is easy to install and has low maintenance cost, all weather use.